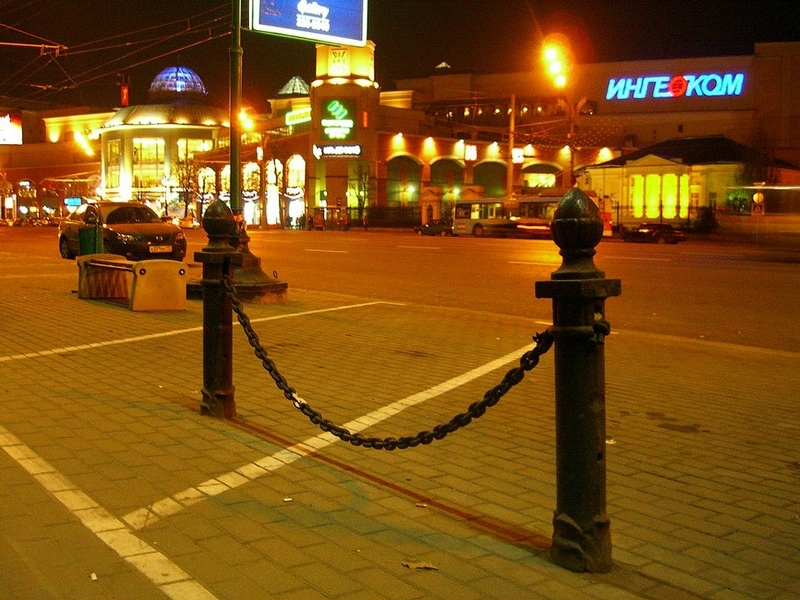 Moscow has many places that can’t be used for their intended purposes. They just occupy extra place and look strange and stupid. This a parking lot for disabled people. But as it is surrounded by a fence, it is not clear how the people can enter the parking lot if only they don’t have a helicopter. How do you like the parking lots? 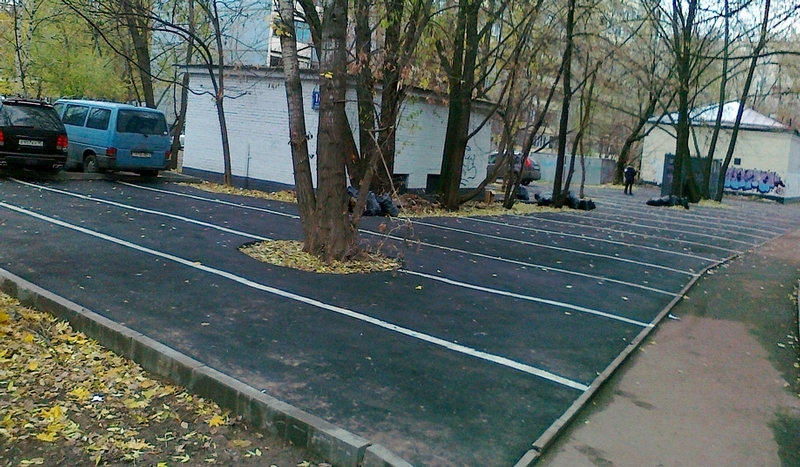 Officials want the Muscovites to be fit and sporty. They are offered to overcome barriers on their way. 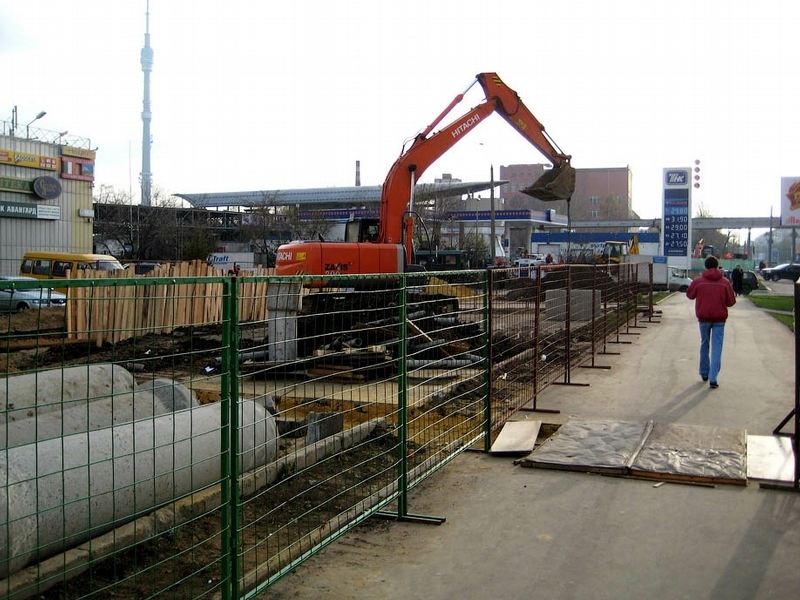 A new subway station is under construction here. People are offered to walk through some old doors instead of wooden shields that are usually cover the holes. 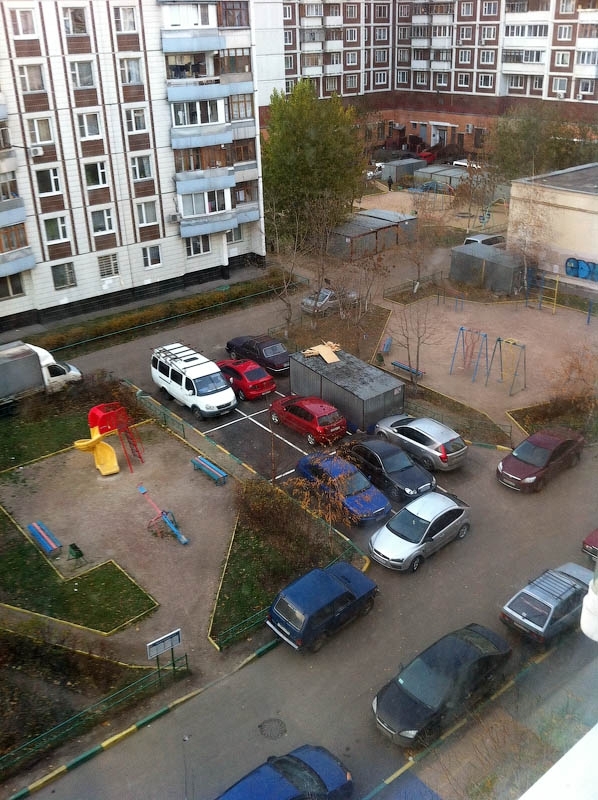 The children’s playground seems bright and nice. But actually there is only way that leads upstairs and if a child gets scared while inside his parents won’t be able to help him as the entrance to the tube is too narrow for an adult person. Moreover, there is a lot of garbage inside left by cats and homeless people. 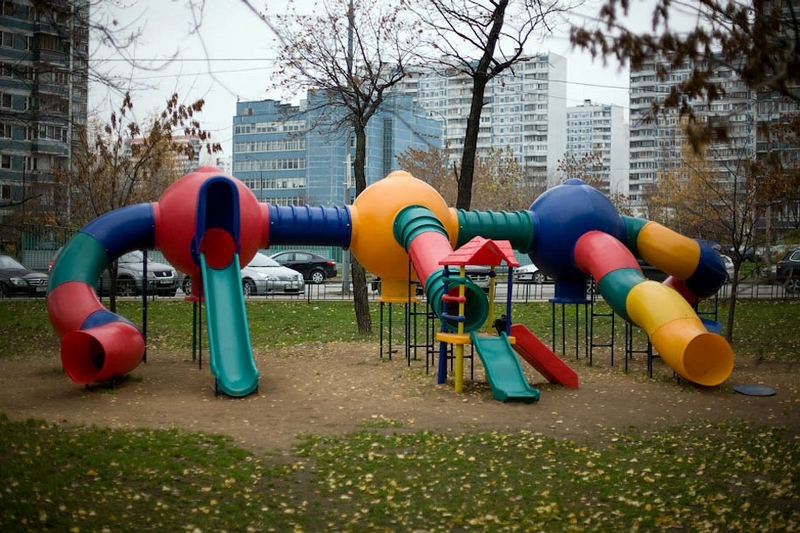 So, it is not recommended to use the playground. 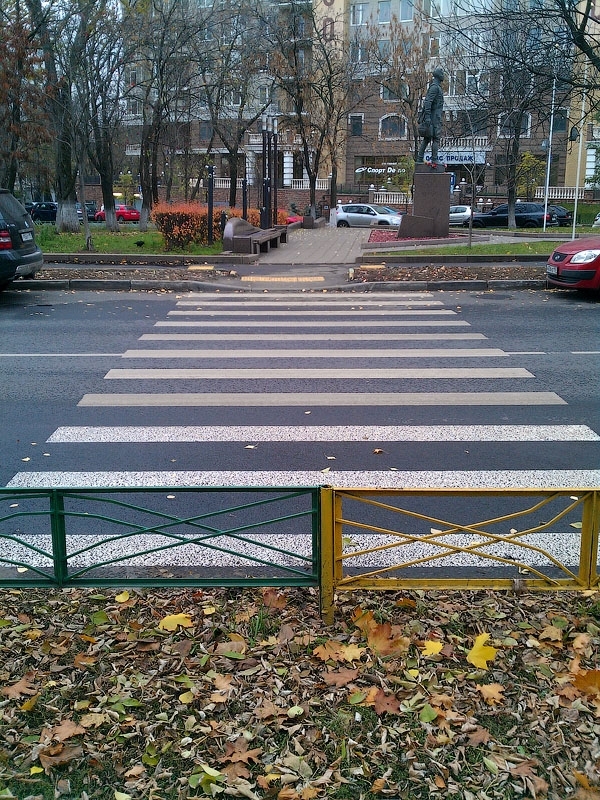 How do you like the crosswalk? Well, try to cross it. Entrance ramps for disable people are also very comfortable. This parking lot has trees on it. 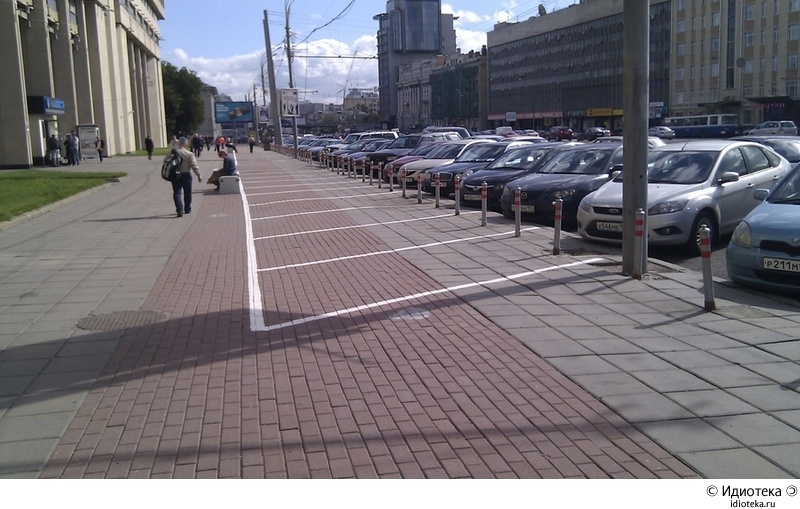 The point is that local authorities tried to follow the program of city improvement on supply of the city with more parking lots and were a bit carried away. 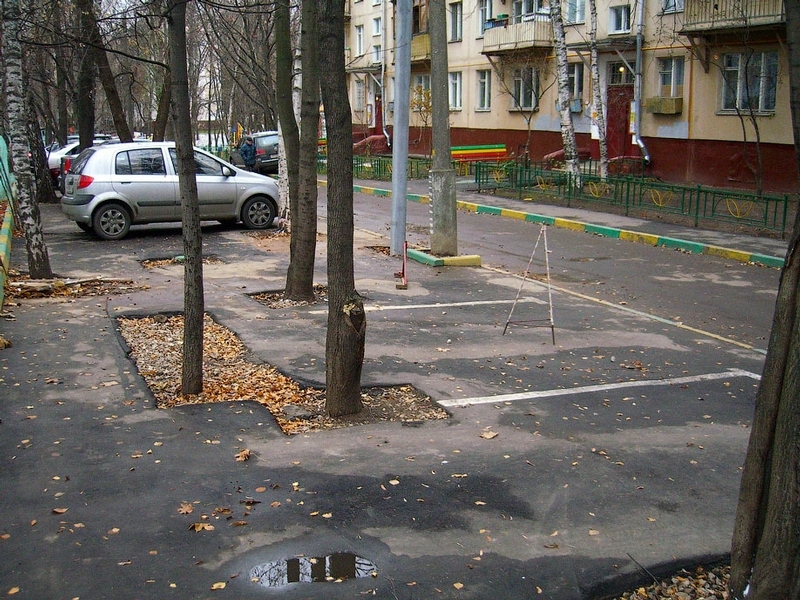 When inhabitants of the local houses asked what the purpose of the trees on the parking lot is, they got an answer that this place is not actually a parking lot but an area that has to be used by cars on their way to the real parking lot nearby AND is also intended as a temporary warehouse for snow in winter time. 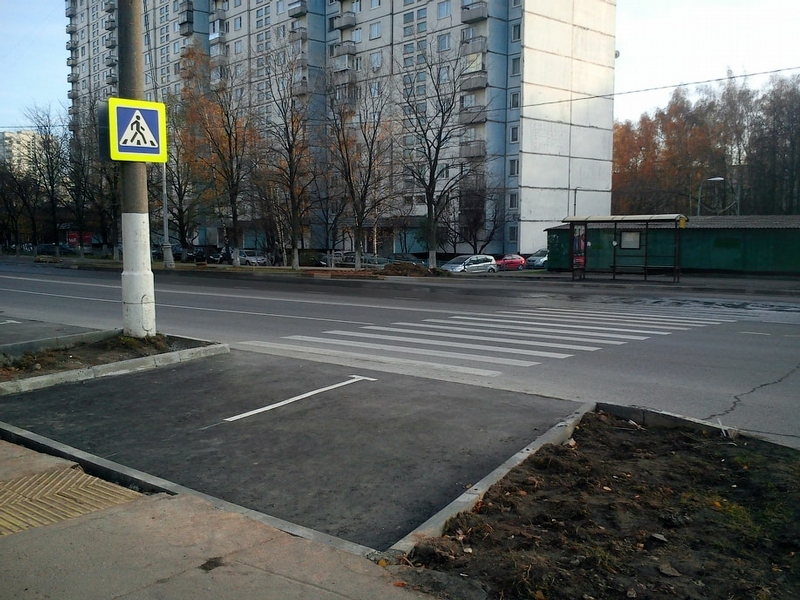 Do you think that a crosswalk can not be located behind a bus stop? You were wrong then. This very crosswalk is impossible to cross if a bus has stopped nearby. My point regarding statistics, we live in a paper world. 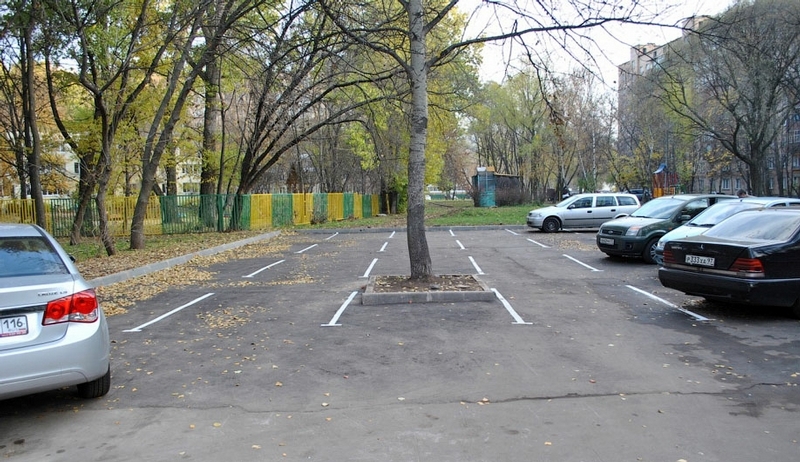 Some numb nut, who works for the municipality got a work order to paint parking spots. Hard thing to do when there are cars parked there. 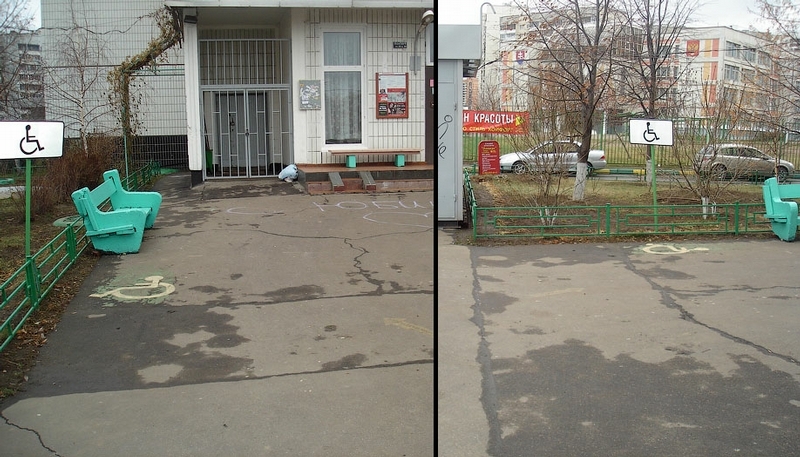 So, he painted the sidewalk and his work, on paper, is complete. Same thing with the crosswalk. It just doesn’t happen in Russia, it happens all over. How the job is done does not matter, on paper, it’s done. GDP goes up. Nice to see,that u Russian people are tree lovers,and give about ur beautiful rich nature country! Ow and btw. your handicapt fellow citizens must have really strong arms,getting up a stair that hook!! Some public servants have a great sense of humour! 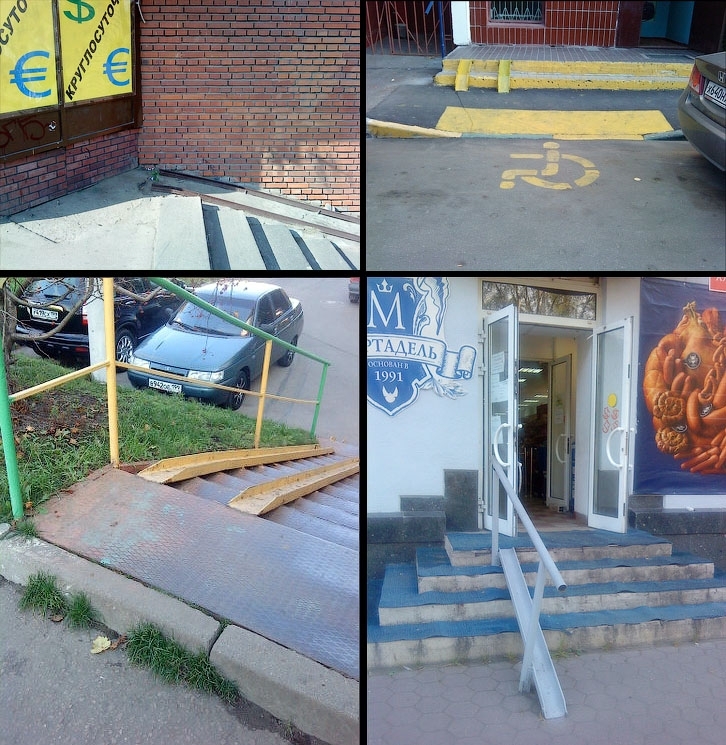 Some video of people using those ramps for disabled would be interesting.